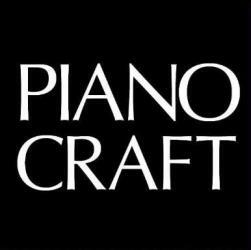 PianoCraft sells new, digital, restored/rebuilt, and pre-owned pianos. Our offerings include world class brands such as Steingraeber and Söhne, Estonia, Baldwin, Steinway, C. Bechstein and Casio, and Mason & Hamlin. We serve not only professional pianists but every piano enthusiast. Our pianos are perfect for those looking for exceptional handcrafted instruments offering the best value in terms of both quality and the price. Our state-of-the-art manufacturing facility is conducive to high-caliber production of new piano components as well as all types of refinishing work. We also offer excellent piano tuning and repair services. Our highly-trained technicians can tune and repair all types of pianos. We also provide maintenance services to keep the pianos functioning well without any problem with the notes and sounds. We can even install climate-protection systems in the piano to protect them from harsh climatic conditions and protect them for years to come. With more than 50 years of industry experience, we fully understand the significance of the unique piano sounds and each sound’s connection with a specific client. To this end, it is our endeavor to deliver perfection to each of our clients – be in the form of a piano or a repair service. We are located at Gaithersburg, MD. To know more about our offerings, our sought-after restoration services, and for more information about our company, visit https://pianocraft.net/ & https://pianocraft.net/pages/our-brands.